it’s that time again for an off-the-cuff-let’s-chat-video-blog day! this month’s questions are all around beauty, both internal and external. this is a valuable topic to open up about because i hadn’t really thought about what makes me feel beautiful recently. i’d encourage you to consider when you feel most beautiful both on the inside and outside. a quick and easy tip for getting rosy cheeks anywhere! “trust is a must“- the speech my husband gave that won him the world championship of public speaking (warning…it’s mushy gushy). “the map to dreaming big” where you can pick up your map to plan out your dream! feel free to chime in next month! 1) when do you feel most beautiful? 2) what are your favorite internal and external traits about yourself? 3) what do you find most attractive in others? haaaa oh i got it amanda and i loved it 🙂 i hope you did this month’s because i always love your videos! i’m glad you found some inspiration in there too! Haha yay! I didn’t do this month’s:( I tried to record a vlog, but my answers were just sucking bad. This was NOT my topic. I struggled hard so scrapped it entirely. I’ll be back next month. Womp womp. loved hearing that you spoke about your mom too, faith 🙂 i am SO grateful for those braces, whew. it’s taken me some time with owning my curls and figuring out how to manage them. i don’t win all days but haven’t straightened my hair in a few years. I love your hair too! I also have crazy curly long hair. I used to straighten it when I was younger, now I also fully embrace my curls, frizz and flyaways and all. It is awesome that you advocate to love who you are, that is great advice that I think many people need to hear. glad you agree with advocating that we all just need to love who we are! of course it’s easier said than done some days but it sure feels good when those days roll around 🙂 hooray curly hair! I had no idea what to do with my curly hair when I was younger. Now I very rarely straighten it and just try to enjoy the curls. It’s better when I don’t let them air dry the night before and then sleep on them like I did before I filmed my vlog. so happy to hear your mother-in-law is so special and that you have her in your life! Curls are the best. I, too, lusted for straight, silky hair. In middle school I had NO idea what to even do with my hair. I now bounce back and force (as long as my hair can take it), but my favorite thing is to shower, throw in some mousse, and go to town. (Like, literally, leave my house and go somewhere in town because my hair is that easy to do.) It doesn’t always turn out, but I now love big (Hermione Granger) hair! bahahha i’m still laughing about your ‘go to town’ explanation. hilarious audrey and i can do that too so let’s go hit the town! hermione totally helped me start to embrace the curl too!!!!!! Okay, you’re hysterical! This was great, yes to old spice!! I always used that up until recently. Women’s deodorant just doesn’t cut it. I love The Map to Dreaming BIG!! I am excited to see who this all goes!! 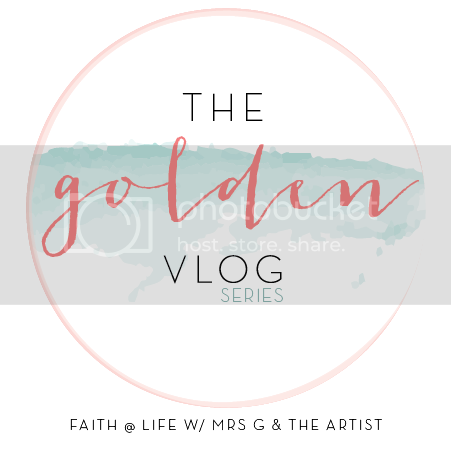 Kenji recently posted…April Golden Vlog. thanks for checking out The Map, kenji! i’m really excited about it! can’t wait to watch your video! LOL 2.7% more. LOVE YOU! This is such a fun video. I also feel the same about shaving. You are totally rocking your curls! I love them! I no lie, used to crave curls like yours. my hair is annoying and wavy so it’s not curly or straight and just does what it wants. Melissa C recently posted…My (Blogging) Friends are Cooler than Yours. yeah my hair can be really tricky and totally changed these past few years to be much curlier! it’s weird. thanks so much for watching and missed yours on this link-up, melissa! tell that dang technology to work next time! Quite a few people in the linkup mentioned that when they’re having a good hair day they feel beautiful. I agree! There’s something about trying to wrestle with my hair to make it look halfway decent that just puts me in a bad mood altogether. Haha! i have wavy hair, have gotten away from the urge to flat iron it, and now that it is longer, it takes more time. I love how my hair looks after I unbraid it. When it is braided wet, then dries, I have really pretty waves,with no heat required. But it does take longer to dry when it is braided, so it is a trade off. ohhh i haven’t tried to braid my hair in forever but you’re right, hair does look great when it comes out from a braid. i think as long as we feel our best, then that’s all we can go with. thanks for your thoughts carolyn!